We can create our own defaults for any entity type that we choose to: nodes, terms, users...and even views. The process is the same for each type. Just follow the directions below. 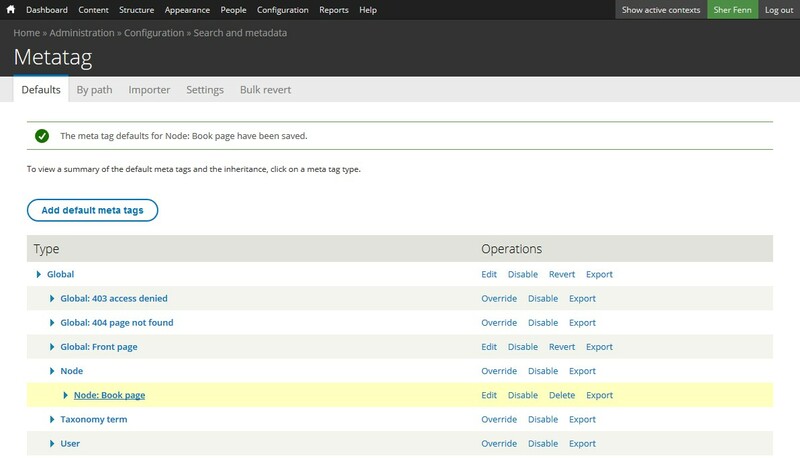 From the Metatag Defaults screen at Admin Menu > Configuration > Search and Metadata > Metatag, click the Add Default Meta Tags button. In the Type field, on the new screen, select the entity you wish to create a default for. In our example, we'll use Book Page. 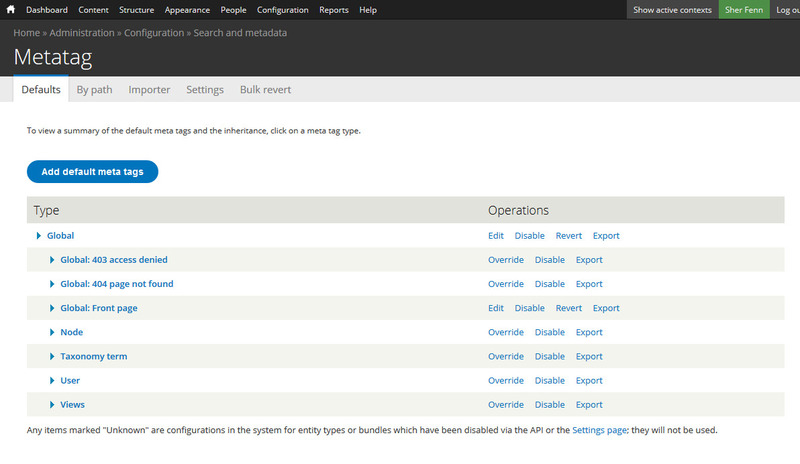 Click the Add and Configure button. We'll make a custom Title. 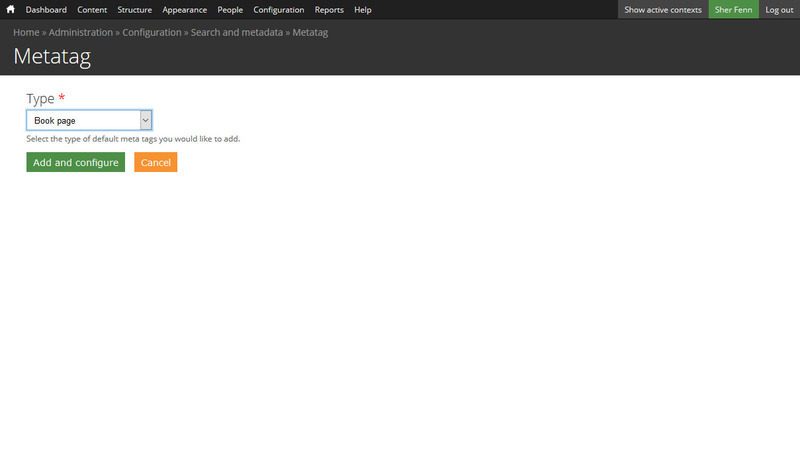 Scroll down to the Metatag vertical tab and click it. We're going to add some stuff into the Page Title field. We could add our own text, but then the same words would show up on every single Book Page node - and we don't want that. In fact, it would hurt us as this metadata should be as unique as possible. This is one of many places where Tokens come in to play. 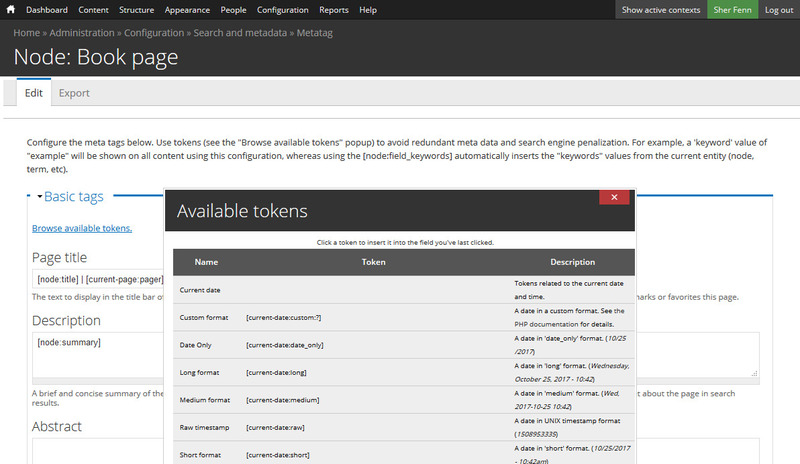 You can find a list of all the tokens in the site by clicking the Browse Available Tokens link. This list is huge. In the interest of saving some time, this is a good token collection to use for sites that use Organic Groups, like OSU Drupal 7. Just copy that and paste it into the Page Title field. Once it all saves, you'll be redirected back to the Metatag Defaults screen. For an example of what you just did on a global scale (you made a change that affects every single Book Page node type in the site), take a look at our Page Title Meta Tag example article.